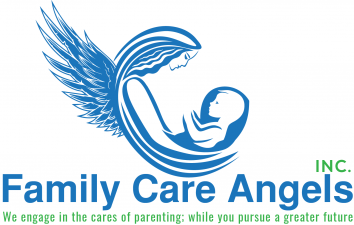 Family Care Angels, Inc. is a dedicated nonprofit that is interested in seeing single parents succeed by relieving them of the hassles of parenting. Daycare fees are increasing and becoming impossible for single-parent households to pay while taking care of their children, rent, utilities and household expenses. Family Care Angels will allow the children of single-parent families a place to live while their parents pursue a greater future by serving our country, continuing or gaining an education, and/or increase technical skills. Helping the single parents gain life skills, education, and/or technical skills will assist in the prevention of government assistance, whether it is SNAP, Medicaid, TANF, and/or HUD. Family Care Angels originated from the love and kindness of three strangers getting to know one another. Those three strangers were Mea Triplett (President); Kyron Triplett (Operations Manager); and Jamie Nichols (Secretary). In 2013, Jamie Nichols relocated to Missouri from Louisiana with Mea and Kyron Triplett. After a few months, Jamie decided that she wanted more than a 9-to-5 job and wanted to fulfill her inner desire of joining the military. The Triplett family was more than willing to help her live out her dreams and with no regrets. After a rigorous guardianship process through the court system, they became parental guardians of their 5th child. The Triplett's continued caring for the child until 2016. Jamie Nichols is now maintaining her own home as a single-parent soldier, has an Associate's degree in Business Administration, an Accountant Certificate, and is pursuing her Bachelor's in degree in Business Administration with a concentration in Nonprofit Organization. This act of kindness is the idea that birthed Family Care Angels Inc. Nonprofit Organization. The three of them are currently working as a team to provide single-family units with assistance in the form of parental guardianship in the hope of ensuring the families' financial stability and success. Donating to the Family Care Angels organization will help secure a place of shelter, utilities, food, formula, toys, and extracurricular activities for our clients’ children. We've come across so many single-parents who wanted to climb the ladder of success, but they had no one whom they could trust to look after their children. Help us curve the poverty level by giving these families a chance to lay a stable financial foundation. Mea Triplett is a wonderful devout mother of four and a wife of 17 years to Kyron Triplett, Sr. She is veteran who served in the U.S. Army. She loves children. Ms. Triplett earned a bachelor's in Entrepreneurship, and is seeking a master's in MFT. Sometimes it's not even the money part but finding those you can trust that are willing to step up and help so you can achieve your goals. This is a dream of mine as well...to be in the position to help single moms achieve goals or just to be able to work without having to stress over having the help they need. I hope you're sucessful because this is really needed! Even though I wasn't tagged I support you! "Single Parents Say YES To Success,"